Both mushrooms and musics grow in very particular conditions, thriving particularly well in cool, dark, and hidden places. 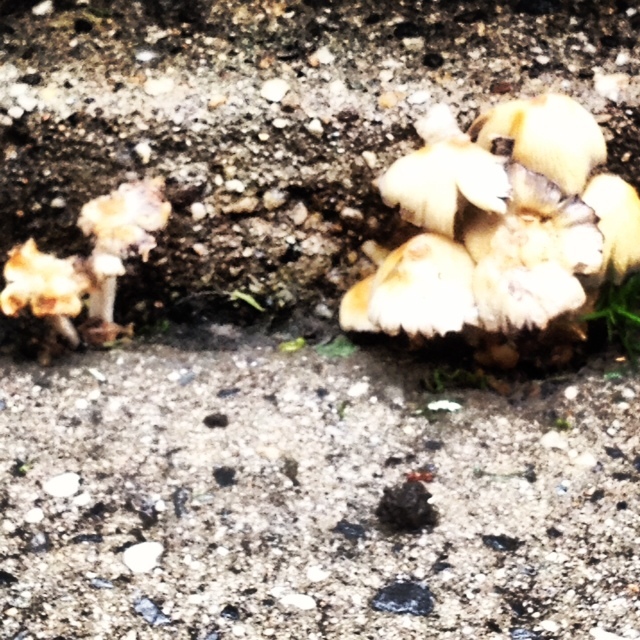 Mushrooms are fungi and musics are fungi-like, both thriving off of other things. In the case of mushrooms, things like rotting logs or wet leaves. In the case of music, thriving off of sound-sensitive and musically-oriented people who devote their hours to making it. Both mushrooms and musics bear spores of one kind or another. These spores are the reason new species of mushrooms and music can seemingly appear from nowhere overnight, expand rapidly, and colonize a natural or man-made environment. Both mushrooms and music are ingestible–one through the mouth, the other through the ears. Both mushrooms and musics have healing properties too. Having said this, however, mushrooms and musics can be toxic if you consume the wrong type, and even hallucinogenic if you consume the right type. Fear of mushrooms (fungophobia) relates to a perception of their being abnormal and strange, growing in odd places, and being potentially dangerous. Similarly, musicians have historically been viewed as a somewhat abnormal and strange species (think buskers mostly ignored on the street or even a Paganini or a Hendrix revered for his super-sonic skills), just a rung up the social ladder from jugglers and clowns, yet with powerful and widely admired healing powers too. Music as an incorporeal species…. How to re-invent social practices, or: how to become analogue literates? You’re welcome, and thanks for your blog!